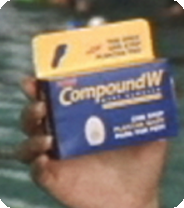 Compound W had a range of different products united by a single benefit: one-step application. After this spot, sales stepped up, too. 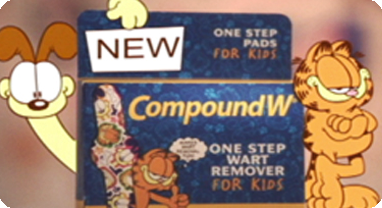 We see those nasty warts but kids see Garfield and his Friends! Wart removers aren’t the easiest product to talk about, but the people at Lunchbox, along with a certain famous feline, helped make this national spot the talk of the town in OTC advertising.